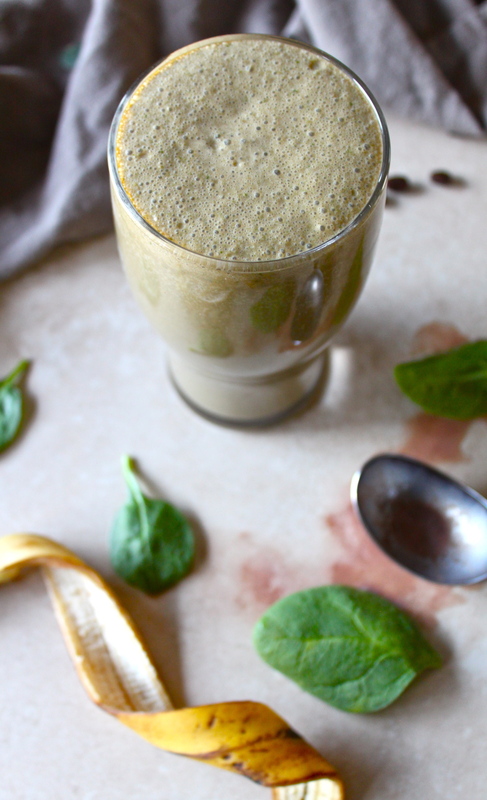 mocha coconut green smoothie shake. i was thoroughly obsessed with the mocha coconut flavor at starbucks ages ago when it first came out in frappuccino form. cut to me working there for 4+ years during college and such. i consumed alllllllll the mocha coconutty things that establishment had to offer. they're still delightful, but i haven't had one of those sugar blasted concoctions in foreva. this smoothie/shake came to be after my gum surgery when i reeeeeeally wanted to drink coffee, but couldn't have hot liquids yet. i suppose i could have made iced coffee, but i was hungryyyyyyy too. i can't quite call this a healthy green smoothie because there is ice cream in it. haha. well when you have a lame gum surgery there are only a few things to eat worth looking forward to. so the chocolate ice cream stayed. 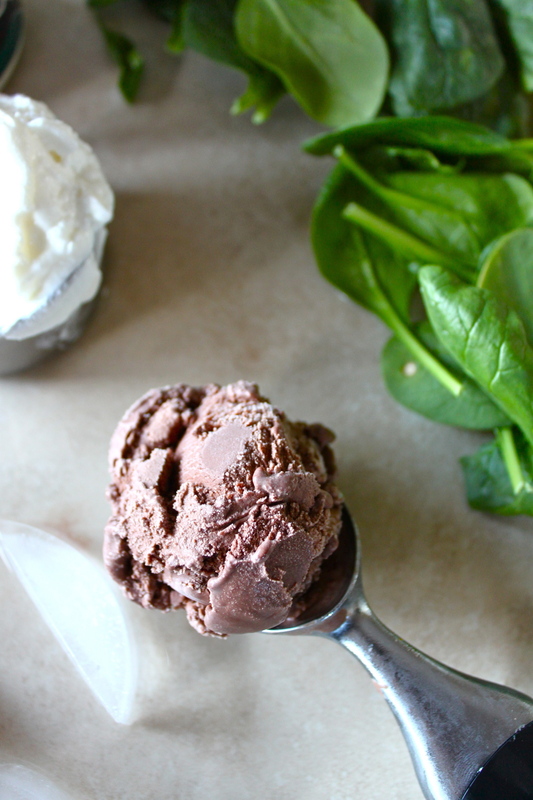 one could use a few tablespoons of cocoa powder as an alternative, but the texture of the ice cream adds some goodness to the beverage. 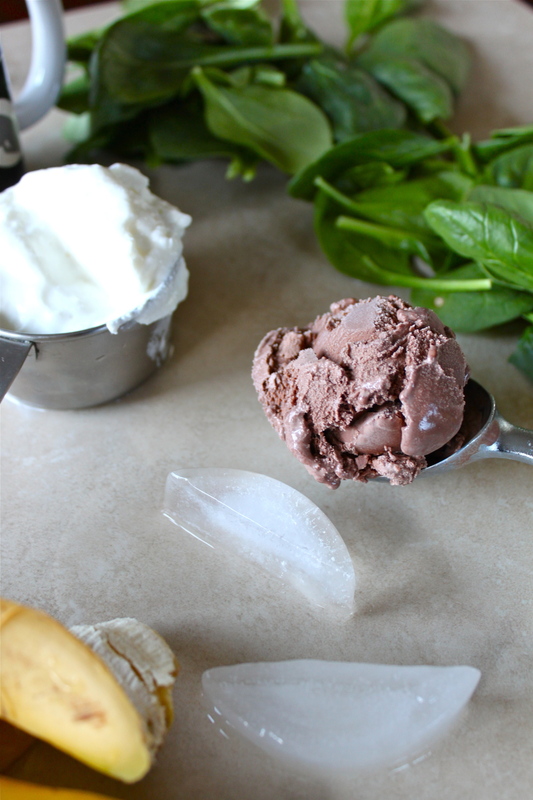 if you don't want to use ice cream, perhaps do 2-3 TB of cocoa powder and 2 bananas for extra sweetness and texture. that sounds goooood, too. i love aeropress coffee. its so easy to make one cup. easy to clean. its fresh and strong and all the flavor makes it to your cup. Brew a strong half cup of black coffee. I use the Aeropress, but you could use 2 shots from an espresso machine, a small strong cup of french press, etc. In a blender, add the spinach, greek yogurt, banana and black coffee. Blend until combined. Add the coconut syrup or extract, chocolate ice cream, and ice cubes. Blend again until smooth. If desired, add 1 TB of espresso powder and pulse quickly to incorporate.